Introducing UNI-PROP - The latest Acrow Prop design with NEW combined HYDRAULIC function. Rainclear's building product partners Buildingproducts-online.co.uk, the internet’s No. 1 supply resource for Builders, Scaffolders & Homeowners, are excited to introduce the innovative UNI-PROP to its offer online. We usually agree with the old adage that if something works, don’t try and fix it! But in this case the added safety, accuracy and speed make this new product the exception to that rule. The UNI-PROP offers temporary support up to 2000kg and is load tested to BS EN 1065, just like you are used to, but unlike the old solution where you have to strike the threaded collar to move those final millimetres, with the chance you could knock the support away entirely, risking a collapse of the very structure you are trying to underpin! 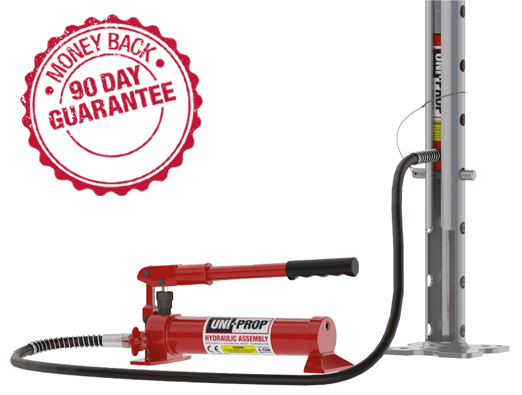 the UNI-PROP detachable hydraulic ram speeds up the process, while taking away this risk and the requirement for any brute strength effort on your part. UNI-PROP is compatible with Strongboy (and similar Acrow Prop accessories) and can be used equally effectively either vertically or horizontally. It comes in the equivalent to Acrow Prop sizes 0, 1 & 2. 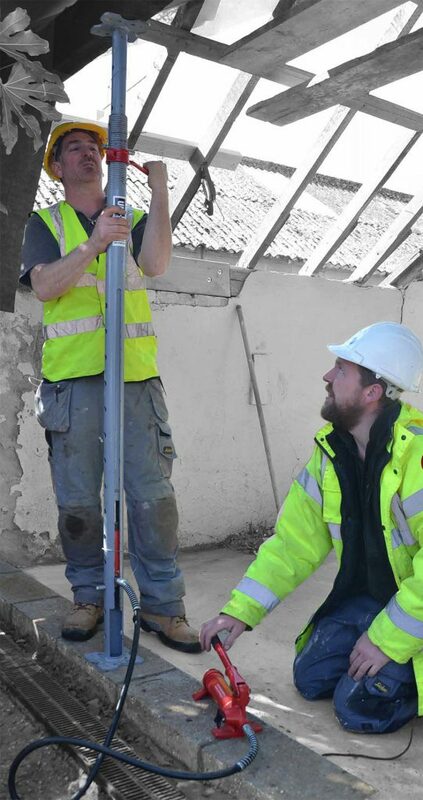 UNI-PROP offers excellent value for money - It's quick, safe, easy to operate. Uni-Prop is already a proven winner when it comes to using controlled power in any number of applications in general building. Add to this its traditional support function, and the combination truly makes Uni-Prop the most versatile temporary support ever developed. Designed and developed by Uni-Prop International Ltd, this patented product is the must have accessory for anyone involved in the building trade. You will also find a range of traditional Acrow Props, Push Pulls, Trench Struts and genuine Strongboy lintel supports in the same category online.